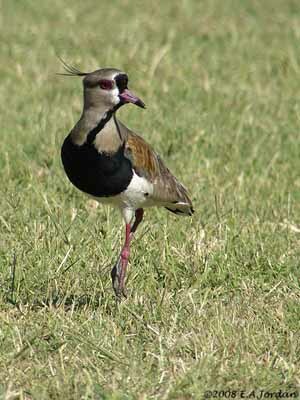 The Southern Lapwing is widespread throughout its large range. The species takes advantage from deforestation and agriculture, and expends its habitat, even close to human habitations. 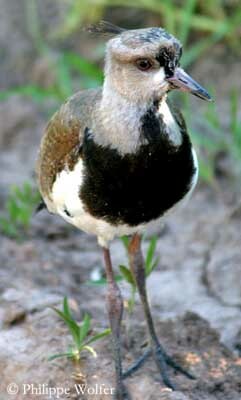 The Southern Lapwing is an endemic wader of South America, a large crested bird of the wet lowland grassland. 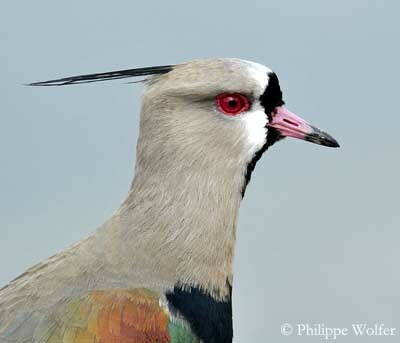 Adult has greyish-brown upperparts with bronze glossy patch on mantle. 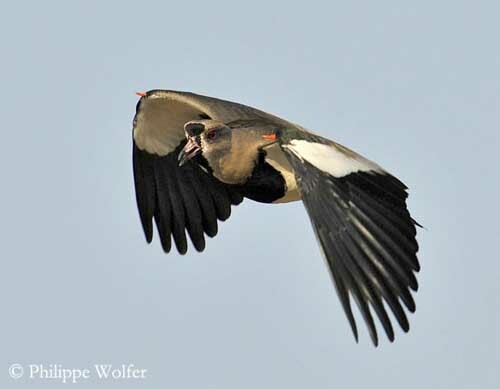 The upperwing shows extensive white and silvery across the surface, contrasting with the black flight feathers. We can see red carpal spurs on the wings. Rump and uppertail coverts are white. Tail shows broad black band and narrow terminal white band. On the underparts, breast is black and belly is white. Underwing coverts are white and flight feathers are black. Undertail is as uppertail. Head is pale blue-grey to greyish-brown, as nape and neck. Face is black and white, with black joining the breast in vertical line. Some elongated feathers form a crest on the rear crown. The straight bill is reddish and black-tipped. Eyes are red with red eye-ring. Legs and feet are reddish. Both sexes are similar. Female has shorter spurs. Juvenile is duller, with brownish-buff feathers on head. The black throat line is indistinct and the white face is washed buff. Crest and spurs are shorter. Upperparts are browner with buff fringes giving pale scaled effect. The black breast is duller, mostly sooty-brown. V.c. cayennensis from N South America and N Amazon. This race has little black on upper breast, whiter face, and rather cinnamon-brown head and neck than blue-grey. V.c. lampronotus from S Amazon to N Chile and N Argentina. It has little white on forehead and more on throat. Head and neck are brown-grey. V.c. chilensis from Central Chile and Argentina. V.c. fretensis from S Chile and S Argentina. This one is similar to nominate race, but smaller. 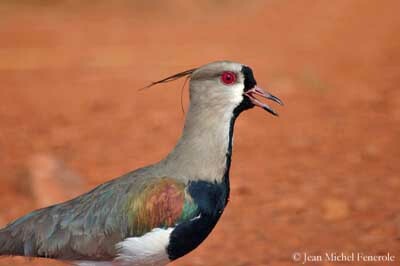 The Southern Lapwing is very noisy, giving penetrating, loud calls similar to harsh barking “tee-ow”. We can also hear a short “pi-up” often repeated. This bird also gives a loud, harsh “parp-peup-peup-peup” when flushed. 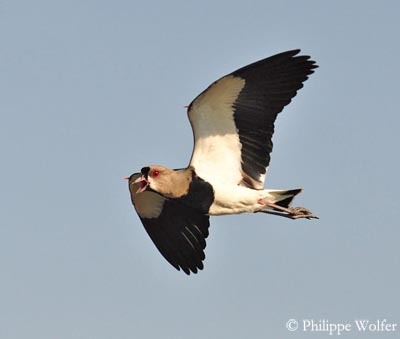 The northern races have lower-pitched calls than southern and south-western birds. 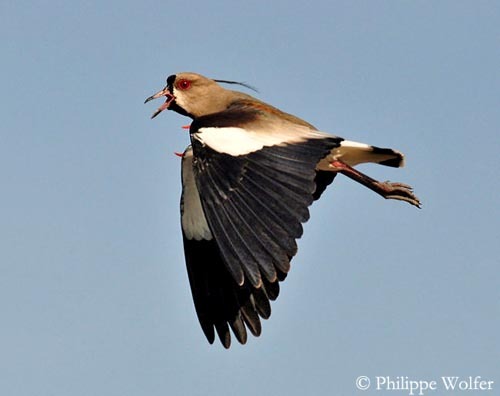 The song is produced during the spectacular song-flight, and the bird utters complicated vocalizations. 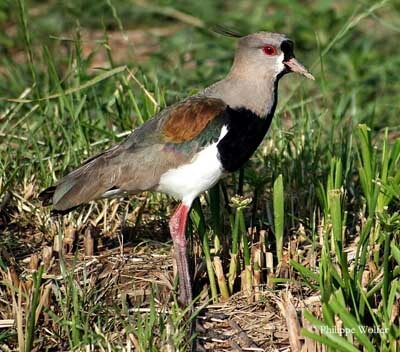 The Southern Lapwing frequents wet areas all year round, but during the breeding season, it can be found in pastures, damp meadows, open wet areas with vegetation and river plains, and occasionally in ploughed land. 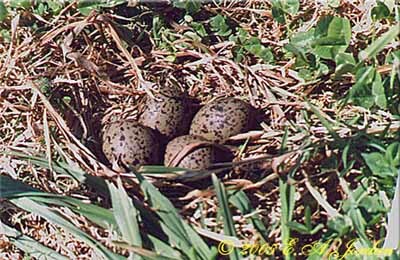 Outside the breeding season, this species can be seen on inland wetlands and marshes, but also in tidal flats. It may occur sometimes in open area in woodland, and around habitations, even in urban gardens. In some parts of the range, and especially in Chile and Brazil, wing-clipped birds may be kept as sentinels. 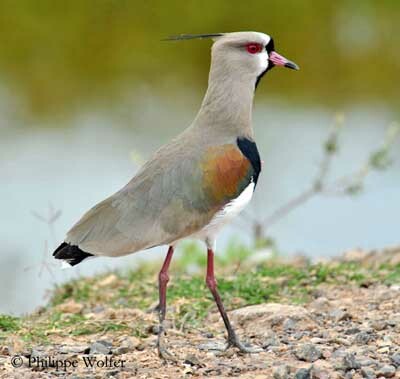 The Southern Lapwing is found in South America, except in the densely forested areas, the higher regions of the Andes and the arid western coasts. 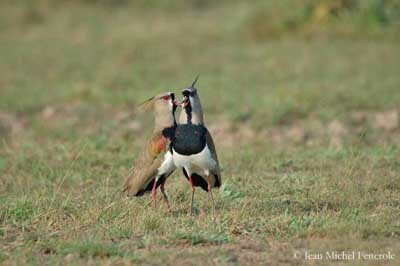 The Southern Lapwing feeds primarily on insects, earthworms and other terrestrial invertebrates. It also hunts in shallow water where it catches small fishes and insect larvae disturbed by foot-trembling. Adults feed the chicks with earthworms. 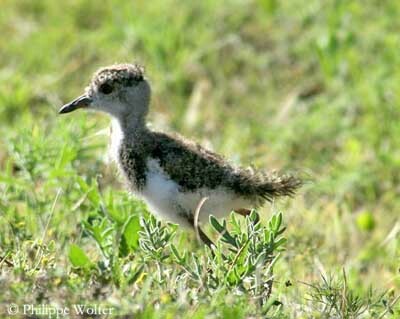 They are seen in small flocks outside the breeding season, but sometimes up to 200 birds. 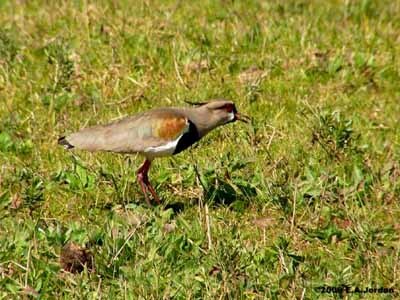 During the breeding season, the Southern Lapwing is territorial and some disputes often occur. The male defends the area by giving loud, persistent calls. Threat displays consist in upright postures with stretched out neck. In more intense confrontation, the birds can use the carpal spurs as weapons. During the nesting period, adults defend nest and chicks very strongly and noisily, mobbing predators and intruders, using threat displays, calls and low flights. Some courtship displays are observed, especially aerobatic slow-flapping flight displays. 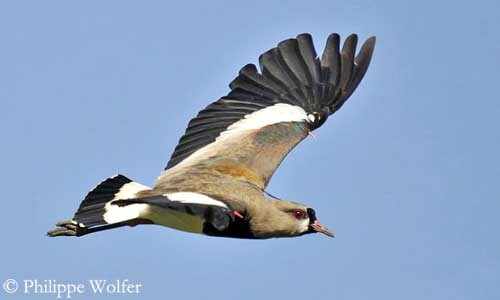 The Southern Lapwing is largely sedentary and performs only limited post-breeding dispersions. However, the birds of the extreme southern regions may reach less cold range in winter. When flying, the toes project beyond the tail-tip. 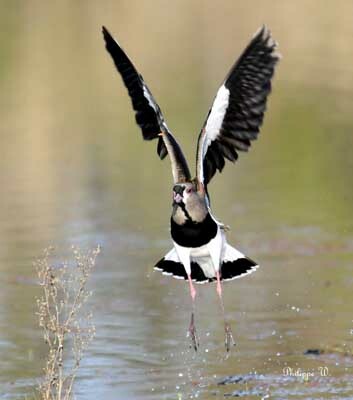 The Southern Lapwing performs deep wing-beats on broad, rounded wings. 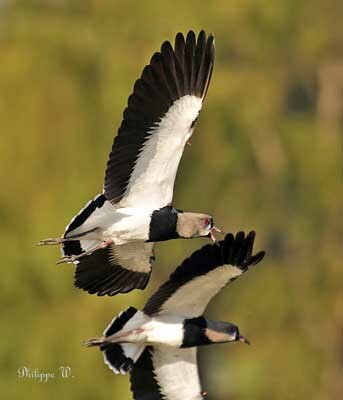 The Southern Lapwing is usually monogamous, but co-operative breeding can be observed in some parts of the range, with 2-3 adults or immature birds as helpers, taking part in defence of territory. The nest is placed in shallow depression on the ground. The cup is unlined, or sparsely lined with grasses. It is situated on dry spot, but close or in wet area. These birds can form loose colonies. Female lays 3-4 eggs of cryptic colour. She incubates during 23-25 days. Chicks have also cryptic down above, and white below. They are fed by female while male defends and protects nest and chicks. The young fledge one month after hatching. 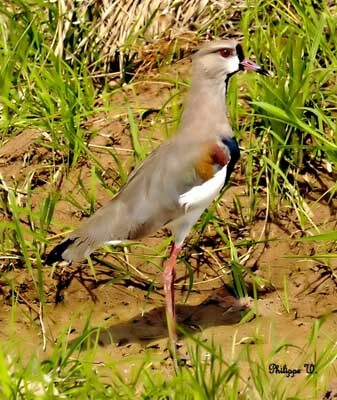 The Southern Lapwing feeds mainly on insects such as grasshoppers, terrestrial invertebrates, earthworms, but also small fishes and insect larvae in shallow water.